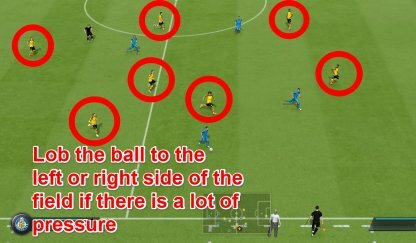 Learn the essentials of attacking in FIFA 19! 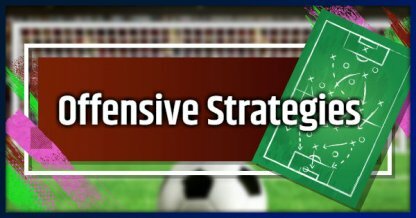 Learn different offense techniques & strategies to score a goal! Shooting is an essential part of your offense, however, the build up to your attack is just as important. Learn different ways of getting the ball from the field to the back of the opponent's net! Three offensive actions that you could take are to shoot dribble and pass. These are arranged by priority regarding your build up. If you can shoot, then go for it. If you can't, dribble. If you have no space to dribble, pass the ball! Another way for you to set up your offense is to use or create spaces that you can get into. These spaces help you advance toward the goal, and move forward with your strategy. After receiving the ball, hold the RB button to make your teammate run to the goal. Use this to create space and set up your teammate for a through pass. Allowing your teammate to run can open up an opportunity for a through ball or lobbed through ball pass! Keep an eye out for teammates running toward the goal, but be careful! A mistimed pass could lead to an offside violation. Find yourself being trapped by a large group of defenders on one side of the field? Lob it to the other side where there are less defenders, and more open space for your team to use! Dribbling the ball disorient defenders, and can give you enough space to shoot or pass! 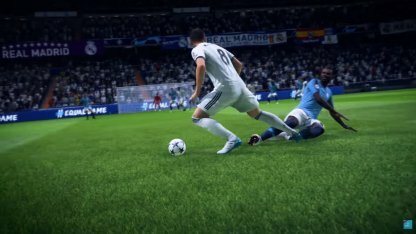 High and low speed dribbles can keep the enemy guessing the pace you want to play the game. This lets you dictate how fast or slow you want your offense to be! 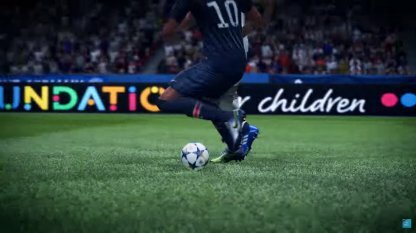 Skill Moves can leave your opponents on the ground, or scrambling in the wrong direction! 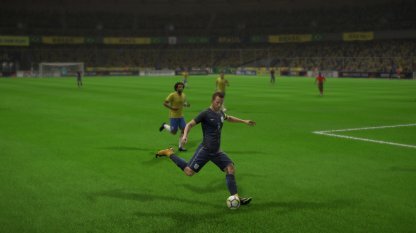 Use Skill Moves sparingly to surprise the opponent, and remember to have players with high skill move ratings when using Skill Moves. Here are some build up types that you can use to lead to goals! Remember that for these strategies to be effective, you must have the correct formation assigned. Side attacks move the ball around the sides of the field. Use lob passes to move the ball to the other side if you get outnumbered on one side of the field. This formation will give you Wings that can easily cross the ball to the striker who can header or volley the ball in. Make sure to have great passers for wingers, and a tall striker! Crossing is usually performed during side attack type offenses. It lobs the ball to the center of the field near a goal, where the striker is waiting to volley or header it in. Make sure to have a tall striker to easily score goals! Center attacks move the ball around the center of the field. It is recommended to use fast players, and a lot of passing to quickly get the ball through defenders. 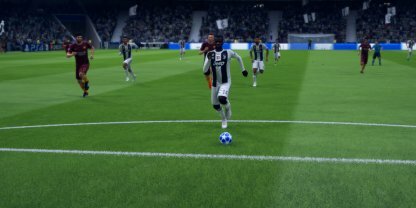 Dribbling and Skill Moves may be used during the build up. The 5-2-1-2 Formation will give you passing options for building up your center attack. You can choose either wing as they are positioned close to the center. You would need to have good passing CMs for this to work. If you gain ball possession and see that the opponent's side of the field is not that populated, it is time to counter! 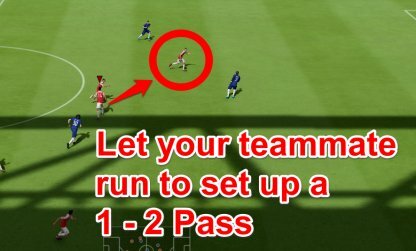 Use a long pass to get the ball to your player on the other side of the field, and rush to the goal! 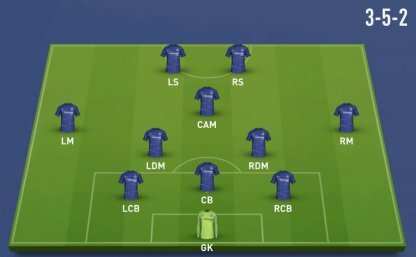 The 3-5-2 Formation is great for Counters since your Midfield is filled with players, which lets you quickly move the ball up quickly. Your Strikers can double as wings which give you more options on how to score. A short counter is essentially the same as a counter, but instead of relying on a long pass, make quick short passes to quickly move the ball up the field to build your offense! 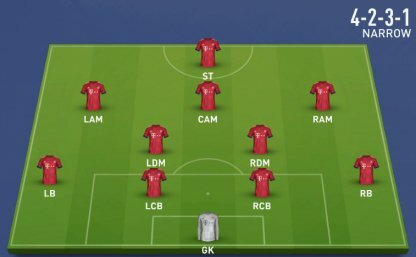 Just like the Counter Attack, the 3-5-2 Formation is great for Short Counters because of the number of players in your midfield. 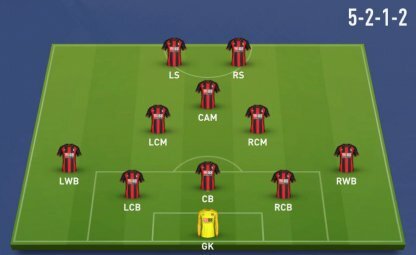 There is a lot of passing options for you to choose from in this formation!